Party Girl was voted web series of the week. 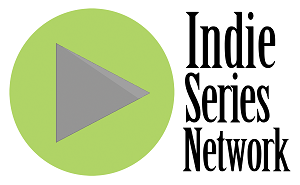 The results are in from the ISN "Indie Series of the Week" poll for October 12-18, 2014). Party Girl was voted favorite web series of the week. A new episode of Family Problems was second, followed by the latest from Chop Socky Boom, Boost and Shady Business. John Samela (Chief Alexander Hudson in Family Problems) was voted Favorite Actor of the week. Wendy Hartman (Detective Rebecca Ellison in Family Problems) was voted Favorite Actress for the second week in a row. - BFFs Episode 2 "Up or Down"
- Family Problems Episode 36 "Killed"
- LaLaLand Episode 3 "Cheers"
- Party Girl Chapter XIII "Round Two"
- Pete Winning and the Pirates Season 2 Episode 5 "An Old Friend Returns"
- Posers Episode 8 "Free Your Mind"
- Shady Business Episode 7 "Humored Thus"
- Showstopper Episode 2 "This is Showbiz?" - Time Baristas Episode 8 "The Unusual Suspects"
- Truth Is Season 2 Episode 4 "Regret"
- Youthful Daze Season 3 Episode 7 "Confessions"